Nobel Laureate Kurt Wüthrich of The Scripps Research Institute (TSRI) will present the next Dr. Homer C. and Dr. Emily D. Weed Lecture in Chemistry on Monday, April 1, 2019. Dr. Wüthrich received one of the two 2002 Nobel Prizes in Chemistry "for his development of nuclear magnetic resonance spectroscopy for determining the three-dimensional structure of biological macromolecules in solution". In addition to his primary appointment at TSRI, Dr. Wüthrich also holds appointments as Professor of Biophysics at the ETH Zurich in Switzerland and Distinguished Senior Professor at the iHuman Institute of ShanghaiTech University. 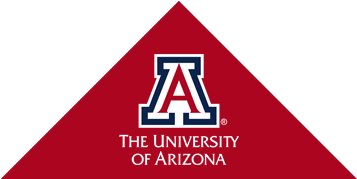 Dr. Wüthrich's host during his visit to the University of Arizona will be Dr. Wolfgang Peti, Homer C. & Emily D. Weed Endowed Professor in the Department of Chemistry and Biochemistry. The Dr. Homer C. & Dr. Emily D. Weed Endowed Lectureship seeks to promote scientific understanding of students and researchers and provide exposure to novel and original ideas by sponsoring lectures through the Department of Chemistry and Biochemistry. Dr. Homer C. Weed earned his undergraduate degree in chemistry from the UA, where he was captain of the track team during his senior year. He also was a member of Phi Beta Kappa, an honors organization. Weed went on to complete a doctorate in physical chemistry from Ohio State University. He began working as a physical chemist and geochemist for the Lawrence Livermore National Laboratory in 1957 and retired in 1991. He died in February 2005. Dr. Wüthrich's lecture entitled Dynamic Processes Underlying GPCR Signaling as Seen by NMR will be held on April 1, 2019 at 3 pm in Koffler 204 and is free and open to the public. The public is also invited to attend a reception immediately following the lecture in the Catalina Room located in the Memorial Student Union. For those unable to attend the lecture in person, a videorecording of the lecture will be posted on the Weed Lecture webpage on April 2, 2019. Requests for disability-related accommodations should be directed to Alexis Montoya.